Free Download: Coaching Business Roadmap For Success - Coach & Grow R.I.C.H. AND you need to know how to run a thriving and profitable coaching business. Get Your Coaching Business Roadmap To Success now. …where you’ll discover how to avoid the pitfalls that cause 40% of coaches to close up shop in their first year (and 80% to give up within five years). You’ll also get a peek at the behind-the-scenes magic that makes your business run smoothly—and your life way easier. 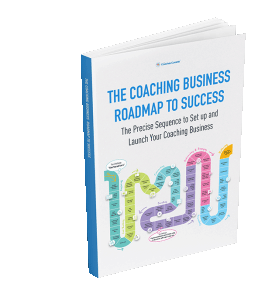 The Precise Sequence To Set Up And Launch Your Coaching Business—Fast. I highly recommend what Melinda is sharing in her Biz-Building Quest. These are powerful tools to help you build your coaching business, and right now you can access them for FREE.